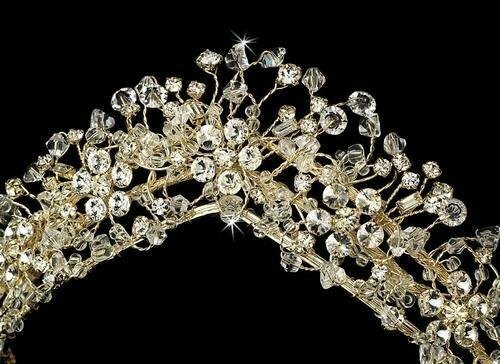 This entrancing bridal tiara features a remarkable gold or silver plated web of rhinestone flowers and various sizes and shapes of Swarovski crystals. A truly unique addition to your wedding hairstyle. 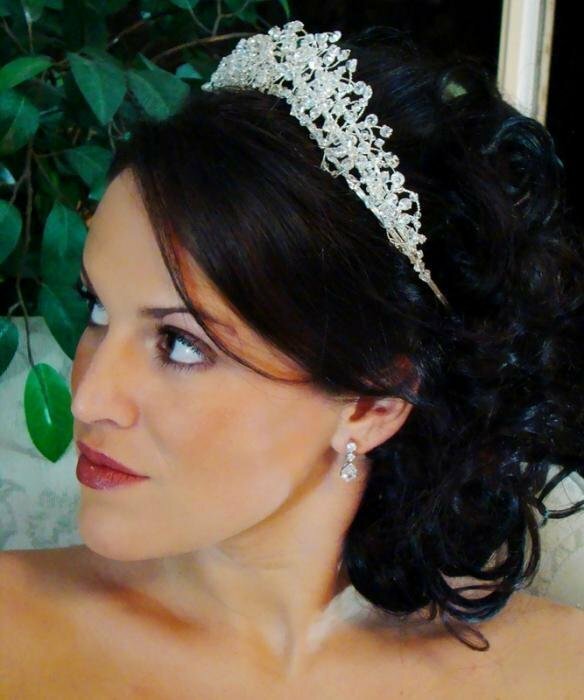 You will feel like a true princess wearing this beautiful bridal tiara. 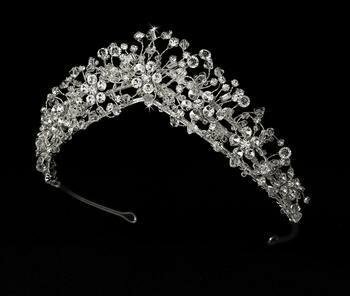 Available in gold or silver, please specify your colour choice when ordering. The ornamented portion of the piece measures 26 cm wide and 5 cm tall, and the piece ends with two loops that allow you to fasten it in your hair with bobby pins.